A convulsion is a medical condition where body muscles contract and relax rapidly and repeatedly, resulting in an uncontrolled shaking of the body.Because a convulsion is often a symptom of an epileptic seizure, the term convulsion is sometimes used as a synonym for seizure. However, not all epileptic seizures lead to convulsions, and not all convulsions are caused by epileptic seizures. Convulsions are also consistent with an electric shock. Epilepsy – Symptom complex characterized by attacks of unconsciousness that may or may not be associated with convulsions, sensory phenomenon or abnormalities in behaviour. Petit mal Seizures (Absence seizures) involve an interruption to consciousness where the person experiencing the seizure seems to become vacant and unresponsive for a short period of time (usually up to 30 seconds). Slight muscle twitching may occur. Myoclonic seizures involve an extremely brief (< 0.1 second) muscle contraction and can result in jerky movements of muscles or muscle groups. Clonic seizures are myoclonus that are regularly repeating at a rate typically of 2-3 per second. in some cases, the length varies. Tonic–clonic seizures (Grand Mal Seizures) involve an initial contraction of the muscles (tonic phase) which may involve tongue biting, urinary incontinence and the absence of breathing. This is followed by rhythmic muscle contractions (clonic phase). This type of seizure is usually what is referred to when the term ‘epileptic fit’ is used colloquially. Atonic seizures involve the loss of muscle tone, causing the person to fall to the ground. These are sometimes called ‘drop attacks’ but should be distinguished from similar looking attacks that may occur in cataplexy. Partial seizures (also called focal seizures and localized seizures) are seizures which affect only a part of the brain at onset.The brain is divided into two hemispheres, each consisting of four lobes – the frontal, temporal, parietal and occipital lobes. In partial seizures the seizure is generated in and affects just one part of the brain – the whole hemisphere or part of a lobe. .
Jacksonian seizure (or Jacksonian march) is a phenomenon where simple partial seizure spread from distal part of limb to face ipsilaterally (on same side of body). They involve a progression of the location of the seizure in the brain, which leads to a “march” of the motor presentation of symptoms. A complex partial seizure is an epileptic seizure that is associated with bilateral cerebral hemisphere involvement and causes impairment of awareness or responsiveness, i.e. alteration of consciousness. Complex partial seizures are often preceded by a seizure aura.The seizure aura is a simple partial seizure. The aura may manifest itself as a feeling of déjà vu, jamais vu, fear, euphoria or depersonalization.The seizure aura might also occur as a visual disturbance, such as tunnel vision or a change in the size of objects (macropsia or micropsia).Once consciousness is impaired, the person may display automatisms such as lip smacking, chewing or swallowing.There may also be loss of memory (amnesia) surrounding the seizure event. The person may still be able to perform routine tasks such as walking. Witnesses may not recognize that anything is wrong. Complex partial seizures might arise from any lobe of the brain.Complex partial seizures most commonly arise from the mesial temporal lobe, particularly the amygdala, hippocampus, and neocortical regions. A common associated brain abnormality is mesial temporal sclerosis. Mesial temporal sclerosis is a specific pattern of hippocampal neuronal loss accompanied by hippocampal gliosis and atrophy.Complex partial seizures occur when excessive and synchronous electrical brain activity causes impaired awareness and responsiveness.The abnormal electrical activity might spread to the rest of the brain and cause a secondary generalized tonic–clonic seizure. A continuous uninterrupted seizure activity, if left untreated can lead to hyperpyrexia and lead to coma and eventually death. While working in the ICU, you are assigned to care for a patient with a seizure disorder. Which of these nursing actions will you implement first if the patient has a seizure? Place the patient on a non-rebreather mask will the oxygen at 15 L/minute. Administer lorazepam (Ativan) 1 mg IV. Turn the patient to the side and protect airway. Assess level of consciousness during and immediately after the seizure. Nurse Becky is caring for client who begins to experience seizure while in bed. Which action should the nurse implement to prevent aspiration? Positioning the client on one side with head flexed forward allows the tongue to fall forward and facilitates drainage secretions therefore prevents aspiration. The nurse is caring for the male client who begins to experience seizure activity while in bed. Which of the following actions by the nurse would be contraindicated? Nursing actions during a seizure include providing for privacy, loosening restrictive clothing, removing the pillow and raising side rails in the bed, and placing the client on one side with the head flexed forward, if possible, to allow the tongue to fall forward and facilitate drainage. The limbs are never restrained because the strong muscle contractions could cause the client harm. If the client is not in bed when seizure activity begins, the nurse lowers the client to the floor, if possible, protects the head from injury, and moves furniture that may injure the client. Other aspects of care are as described for the client who is in bed. A male client is having a tonic-clonic seizures. What should the nurse do first? Restrain the client’s arms and legs. Place a tongue blade in the client’s mouth. Take measures to prevent injury. Protecting the client from injury is the immediate priority during a seizure. Elevating the head of the bed would have no effect on the client’s condition or safety. Restraining the client’s arms and legs could cause injury. Placing a tongue blade or other object in the client’s mouth could damage the teeth. Mr. Jessie Ray, a newly admitted patient, has a seizure disorder which is being treated with medication. Which of the following drugs would the nurse question if ordered for him? Amitriptylene (Elavil), 10 mg QID. Elavil is an antidepressant that lowers the seizure threshold, so would not be appropriate for this patient. The other medications are anti-seizure drugs. A 2 year old is to be admitted in the pediatric unit. He is diagnosed with febrile seizures. In preparing for his admission, which of the following is the most important nursing action? Order a stat admission CBC. Place a urine collection bag and specimen cup at the bedside. Pad the side rails of his bed. Preparing for routine laboratory studies is not as high a priority as preventing injury and promoting safety. Preparing for routine laboratory studies is not as high a priority as preventing injury and promoting safety. A cooling blanket must be ordered by the physician and is usually not used unless other methods for the reduction of fever have not been successful. The child has a diagnosis of febrile seizures. Precautions to prevent injury and promote safety should take precedence. A client with eclampsia begins to experience a seizure. Which of the following would the nurse in charge do first? The priority for the pregnant client having a seizure is to maintain a patent airway to ensure adequate oxygenation to the mother and the fetus. Additionally, oxygen may be administered by face mask to prevent fetal hypoxia. Absence seizures, formerly known as petit mal seizures, are characterized by a brief lapse in consciousness accompanied by rapid eye blinking, lip smacking, and minor myoclonus of the upper extremities. Answer A refers to myoclonic seizure; therefore, it is incorrect. Answer B refers to tonic clonic, formerly known as grand mal, seizures; therefore, it is incorrect. Answer C refers to atonic seizures; therefore, it is incorrect. A 23-year-old patient with a recent history of encephalitis is admitted to the medical unit with new onset generalized tonic-clonic seizures. Which nursing activities included in the patient’s care will be best to delegate to an LPN/LVN whom you are supervising? (Choose all that apply). Document the onset time, nature of seizure activity, and postictal behaviors for all seizures. Administer phenytoin (Dilantin) 200 mg PO daily. Teach patient about the need for good oral hygiene. Develop a discharge plan, including physician visits and referral to the Epilepsy Foundation. Gingival hyperplasia is a side effect of Dilantin; therefore, the nurse should provide oral hygiene and gum care every shift. Answers A, B, and C do not apply to the medication; therefore, they are incorrect. Following a generalized seizure, the client frequently experiences drowsiness and postictal sleep. Answer A is incorrect because the client is able to move the extremities. Answer C is incorrect because the client can remember events before the seizure. Answer D is incorrect because the blood pressure is elevated. Position the mother on her side to allow the secretions to drain from her mouth and prevent aspiration Positioning the mother on her side will allow the secretions that may accumulate in her mouth to drain by gravity thus preventing aspiration pneumonia. Putting a mouth gag is not safe since during the convulsive seizure the jaw will immediately lock. The mother may go into labor also during the seizure but the immediate concern of the nurse is the safety of the baby. After the seizure, check the perineum for signs of precipitate labor. A patient recently started on phenytoin (Dilantin) to control simple complex seizures is seen in the outpatient clinic. Which information obtained during his chart review and assessment will be of greatest concern? The gums appear enlarged and inflamed. The white blood cell count is 2300/mm3. Patient occasionally forgets to take the phenytoin until after lunch. Patient wants to renew his driver’s license in the next month. The nurse answers a call bell and finds a frightened mother whose child, the patient, is having a seizure. Which of these actions should the nurse take? The nurse should insert a padded tongue blade in the patient’s mouth to prevent the child from swallowing or choking on his tongue. The nurse should help the mother restrain the child to prevent him from injuring himself. The nurse should call the operator to page for seizure assistance. The nurse should clear the area and position the client safely. The primary role of the nurse when a patient has a seizure is to protect the patient from harming him or herself. A 36-year-old patient with a history of seizures and medication compliance of phenytoin (Dilantin) and carbamazepine (Tegretol) is brought to the ED by the MS personnel for repetitive seizure activity that started 45 minutes prior to arrival. You anticipate that the physician will order which drug for status epilepticus? IV Lorazepam (Ativan) is the drug of choice for status epilepticus. Tegretol is used in the management of generalized tonic-clonic, absence or mixed type seizures, but it does not come in an IV form. PO (per os) medications are inappropriate for this emergency situation. Magnesium sulfate is given to control seizures in toxemia of pregnancy. A 22 year old client suffered from his first tonic-clonic seizure. Upon awakening the client asks the nurse, “What caused me to have a seizure? Which of the following would the nurse include in the primary cause of tonic clonic seizures in adults more the 20 years? Trauma is one of the primary cause of brain damage and seizure activity in adults. Other common causes of seizure activity in adults include neoplasms, withdrawal from drugs and alcohol, and vascular disease. A client taking Dilantin (phenytoin) for grand mal seizures is preparing for discharge. Which information should be included in the client’s discharge care plan? Adverse side effects of Dilantin include agranulocytosis and aplastic anemia; therefore, the client will need frequent CBCs. Answer A is incorrect because the medication does not cause dental staining. Answer B is incorrect because the medication does not interfere with the metabolism of carbohydrates. Answer D is incorrect because the medication does not cause drowsiness. A nursing student is teaching a patient and family about epilepsy prior to the patient’s discharge. For which statement should you intervene? "The seizure may or may not mean your child has epilepsy." There are many possible causes for a childhood seizure. These include fever, central nervous system conditions, trauma, metabolic alterations and idiopathic (unknown). Rhythmic contraction and relaxation associated with tonic-clonic seizure can cause repeated banging of head. Shortly after admission to an acute care facility, a male client with a seizure disorder develops status epilepticus. The physician orders diazepam (Valium) 10 mg I.V. stat. How soon can the nurse administer a second dose of diazepam, if needed and prescribed? When used to treat status epilepticus, diazepam may be given every 10 to 15 minutes, as needed, to a maximum dose of 30 mg. The nurse can repeat the regimen in 2 to 4 hours, if necessary, but the total dose shouldn’t exceed 100 mg in 24 hours. The nurse must not administer I.V. diazepam faster than 5 mg/minute. Therefore, the dose can’t be repeated in 30 to 45 seconds because the first dose wouldn’t have been administered completely by that time. Waiting longer than 15 minutes to repeat the dose would increase the client’s risk of complications associated with status epilepticus. The patient with migraine headaches has a seizure. After the seizure, which action can you delegate to the nursing assistant? Restrain the patient for protection. You are preparing to admit a patient with a seizure disorder. Which of the following actions can you delegate to LPN/LVN? Set up oxygen and suction equipment. Place a padded tongue blade at bedside. Pad the side rails before patient arrives. The LPN/LVN can set up the equipment for oxygen and suctioning. The RN should perform the complete initial assessment. Padded side rails are controversial in terms of whether they actually provide safety and ay embarrass the patient and family. Tongue blades should not be at the bedside and should never be inserted into the patient’s mouth after a seizure begins. Focus: Delegation/supervision. John suddenly experiences a seizure, and Nurse Gina notice that John exhibits uncontrollable jerking movements. Nurse Gina documents that John experienced which type of seizure? Myoclonic seizure is characterized by sudden uncontrollable jerking movements of a single or multiple muscle group. Verbalize understanding of factors that contribute to the possibility of trauma and or suffocation and take steps to correct the situation. Identify actions or measures to take when seizure activity occurs. Identify and correct potential risk factors in the environment. Maintain treatment regimen to control or eliminate seizure activity. Recognize the need for assistance to prevent accidents or injuries. Determine factors related to individual situation, as listed in Risk Factors, and extent of risk. Rationale: Influences scope and intensity of interventions to manage threat to safety. Note client’s age, gender, developmental age, decision-making ability, level of cognition or competence. Rationale: Affects client’s ability to protect self and others, and influences choice of interventions and teaching. Ascertain knowledge of various stimuli that may precipitate seizure activity. Rationale: Alcohol, various drugs, and other stimuli (loss of sleep, flashing lights, prolonged television viewing) may increase brain activity, thereby increasing the potential for seizure activity. Review diagnostic studies or laboratory tests for impairments and imbalances. Rationale: Such may result in or exacerbate conditions, such as confusion, tetany, pathological fractures, etc. Explore and expound seizure warning signs (if appropriate) and usual seizure pattern. Teach SO to determine and familiarize warning signs and how to care for patient during and after seizure attack. Rationale: Enables patient to protect self from injury and recognize changes that require notification of physician and further intervention. Knowing what to do when seizure occurs can prevent injury or complications and decreases SO’s feelings of helplessness. Use and pad side rails with bed in lowest position, or place bed up against wall and pad floor if rails not available or appropriate. Rationale: Prevents or minimizes injury when seizures (frequent or generalized) occur while patient is in bed. Note: Most individuals seize in place and if in the middle of the bed, individual is unlikely to fall out of bed. Educate patient not to smoke except while supervised. Rationale: May cause burns if cigarette is accidentally dropped during aura or seizure activity. Evaluate need for or provide protective headgear. Rationale: Use of helmet may provide added protection for individuals who suffer recurrent or severe seizures. Avoid using thermometers that can cause breakage. Use tympanic thermometer when necessary to take temperature. Rationale: Reduces risk of patient biting and breaking glass thermometer or suffering injury if sudden seizure activity should occur. Uphold strict bedrest if prodromal signs or aura experienced. Explain necessity for these actions. Rationale: Patient may feel restless or need to ambulate or even defecate during aural phase, thereby inadvertently removing self from safe environment and easy observation. Understanding importance of providing for own safety needs may enhance patient cooperation. Do not leave the patient during and after seizure. Turn head to side and suction airway as indicated. Insert plastic bite block only if jaw relaxed. Rationale: Helps maintain airway patency and reduces risk of oral trauma but should not be “forced” or inserted when teeth are clenched because dental and soft-tissue damage may result. Note: Wooden tongue blades should not be used because they may splinter and break in patient’s mouth. Support head, place on soft area, or assist to floor if out of bed. Do not attempt to restrain. Rationale: Supporting the extremities lessens the risk of physical injury when patient lacks voluntary muscle control. Note: If attempt is made to restrain patient during seizure, erratic movements may increase, and patient may injure self or others. Note preseizure activity, presence of aura or unusual behavior, type of seizure activity (location or duration of motor activity, loss of consciousness, incontinence, eye activity, respiratory impairment or cyanosis), and frequency or recurrence. Note whether patient fell, expressed vocalizations, drooled, or had automatisms (lip-smacking, chewing, picking at clothes). Rationale: Helps localize the cerebral area of involvement. Provide neurological or vital sign check after seizure (level of consciousness, orientation, ability to comply with simple commands, ability to speak; memory of incident; weakness or motor deficits; blood pressure (BP), pulse and respiratory rate). Rationale: Documents postictal state and time or completeness of recovery to normal state. May identify additional safety concerns to be addressed. Reorient patient following seizure activity. Rationale: Patient may be confused, disoriented, and possibly amnesic after the seizure and need help to regain control and alleviate anxiety. Allow postictal “automatic” behavior without interfering while providing environmental protection. Rationale: May display behavior (of motor or psychic origin) that seems inappropriate or irrelevant for time and place. Attempts to control or prevent activity may result in patient becoming aggressive or combative. Rationale: May be result of repetitive muscle contractions or symptom of injury incurred, requiring further evaluation or intervention. Detect status epilepticus (one tonic-clonic seizure after another in rapid succession). Rationale: This is a life-threatening emergency that if left untreated could cause metabolic acidosis, hyperthermia, hypoglycemia, arrhythmias, hypoxia, increased intracranial pressure, airway obstruction, and respiratory arrest. Immediate intervention is required to control seizure activity and prevent permanent injury or death. Note: Although absence seizures may become static, they are not usually life-threatening. Rationale: AEDs raise the seizure threshold by stabilizing nerve cell membranes, reducing the excitability of the neurons, or through direct action on the limbic system, thalamus, and hypothalamus. Goal is optimal suppression of seizure activity with lowest possible dose of drug and with fewest side effects. Cerebyx reaches therapeutic levels within 24 hr and can be used for nonemergent loading while waiting for other agents to become effective. Note: Some patients require polytherapy or frequent medication adjustments to control seizure activity. This increases the risk of adverse reactions and problems with adherence. Rationale: Adjunctive therapy for partial seizures or an alternative for patients when seizures are not adequately controlled by other drugs. Rationale: Potentiates and enhances effects of AEDs and allows for lower dosage to reduce side effects. Rationale: Used to abort status seizure activity because it is shorter acting than Valium and less likely to prolong post seizure sedation. Rationale: May be used alone (or in combination with phenobarbital) to suppress status seizure activity. Diastat, a gel, may be administered rectally, even in the home setting, to reduce frequency of seizures and need for additional medical care. Rationale: May be given to restore metabolic balance if seizure is induced by hypoglycemia or alcohol. Monitor and document AED drug levels, corresponding side effects, and frequency of seizure activity. Rationale: Standard therapeutic level may not be optimal for individual patient if untoward side effects develop or seizures are not controlled. Monitor CBC, electrolytes, glucose levels. Rationale: Identifies factors that aggravate or decrease seizure threshold. Prepare for surgery or electrode implantation as indicated. Rationale: Vagal nerve stimulator, magnetic beam therapy, or other surgical intervention (temporal lobectomy) may be done for intractable seizures or well-localized epileptogenic lesions when patient is disabled and at high risk for serious injury. Success has been reported with gamma ray radio surgery for the treatment of multiple seizure activity that has otherwise been difficult to control. Maintain effective respiratory pattern with airway patent or aspiration prevented. Ensure patient to empty mouth of dentures or foreign objects if aura occurs and to avoid chewing gum and sucking lozenges if seizures occur without warning. Rationale: Lessens risk of aspiration or foreign bodies lodging in pharynx. 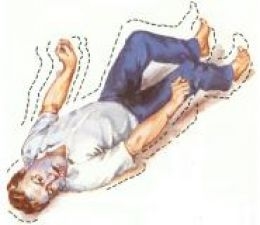 Maintain in lying position, flat surface; turn head to side during seizure activity. Rationale: Helps in drainage of secretions; prevents tongue from obstructing airway. Loosen clothing from neck or chest and abdominal areas. Rationale: Aids in breathing or chest expansion. Provide and insert plastic airway or soft roll as indicated and only if jaw is relaxed. Rationale: If inserted before jaw is tightened, these devices may prevent biting of tongue and facilitate suctioning or respiratory support if required. Airway adjunct may be indicated after cessation of seizure activity if patient is unconscious and unable to maintain safe position of tongue. Rationale: Reduces risk of aspiration or asphyxiation. Note: Risk of aspiration is low unless individual has eaten within the last 40 min. Supervise supplemental oxygen or bag ventilation as needed postictally. Rationale: May lessen cerebral hypoxia resulting from decreased circulation or oxygenation secondary to vascular spasm during seizure. Note: Artificial ventilation during general seizure activity is of limited or no benefit because it is not possible to move air in or out of lungs during sustained contraction of respiratory musculature. As seizure abates, respiratory function will return unless a secondary problem exists (foreign body or aspiration). Get ready for or assist with intubation, if indicated. Rationale: Presence of prolonged apnea postictally may need ventilatory support. Verbalize realistic perception and acceptance of self in changed role or lifestyle. Demonstrate behaviors to restore positive self-esteem. Participate in treatment regimen or activities to correct factors that precipitated crisis. Determine individual situation related to low self-esteem in the present circumstances. Rationale: Verbalization of concerns about future implications can help patient begin to accept or deal with situation. Explore feelings about diagnosis, perception of threat to self. Encourage expression of feelings. Rationale: Reactions vary among individuals, and previous knowledge or experience with this condition affects acceptance of therapeutic regimen. Analyze possible or anticipated public reaction to condition. Encourage patient to refrain from concealing problem. Rationale: Provides opportunity to problem-solve response, and provides measure of control over situation. Concealment is destructive to self-esteem (potentiates denial), blocking progress in dealing with problem, and may actually increase risk of injury or negative response when seizure does occur. Discuss with patient current and past successes and strengths. Rationale: Concentrating on positive aspects can help alleviate feelings of guilt and self- consciousness and help patient begin to accept manageability of condition. Refrain from over protecting the patient; encourage activities, providing supervision and monitoring when indicated. Rationale: Participation in as many experiences as possible can lessen depression about limitations. Observation and supervision may need to be provided for such activities as gymnastics, climbing, and water sports. Know the attitudes or capabilities of SO. Help individual realize that his or her feelings are normal; however, guilt and blame are not helpful. Rationale: Contradictory or unfavorable expectations from SO may affect patient’s sense of competency and self-esteem and interfere with support received from SO, limiting potential for optimal management and personal growth. Elaborate the positive effect of staff and SO remaining calm during seizure activity. Rationale: Tension and anxiety among caregivers is contagious and can be conveyed to the patient, increasing or multiplying individual’s own negative perceptions of situation or self. Refer patient and SO to support group (Epilepsy Foundation of America,National Association of Epilepsy Centers, and Delta Society’s National Service Dog Center). Rationale: Provides opportunity to gain information, support, and ideas for dealing with problems from others who share similar experiences. Note: Some service dogs have ability to sense or predict seizure activity, allowing patient to institute safety measures, increasing independence and personal sense of control. Talk over and explain referral for psychotherapy with patient and SO. Rationale: Seizures have a profound effect on personal self-esteem, and patient or SO may feel guilt over perceived limitations and public stigma. Counseling can help overcome feelings of inferiority and self-consciousness. Verbalize understanding of disorder and various stimuli that may increase potentiate seizure activity. Exhibit increased interest or assume responsibility for own learning by beginning to look for information and ask questions. Identify relationship of signs and symptoms to the disease process and correlate symptoms with causative factors. Initiate necessary lifestyle or behavior changes as indicated. Ascertain level of knowledge, including anticipatory needs. Determine client’s ability or readiness and barriers to learning. Rationale: Individual may not be physically, emotionally, or mentally capable at this time. Review pathology and prognosis of condition and lifelong need for treatments as indicated. Discuss patient’s particular trigger factors (flashing lights, hyperventilation, loud noises,video games, TV viewing). Rationale: Provides opportunity to clarify or dispel misconceptions and present condition as something that is manageable within a normal lifestyle. Review possible effects of hormonal changes. Rationale: Alterations in hormonal levels that occur during menstruation and pregnancy may increase risk of seizures. Discuss significance of maintaining good general health, (adequate diet, rest, moderate exercise, and avoidance of exhaustion, alcohol, caffeine, and stimulant drugs). Rationale: Regularity and moderation in activities may aid in reducing or controlling precipitating factors, enhancing sense of general well-being, and strengthening coping ability and self-esteem. Note: Too little sleep or too much alcohol can precipitate seizure activity in some people. Know and instill the importance of good oral hygiene and regular dental care. Rationale: Lessens risk of oral infections and gingival hyperplasia. Identify necessity and promote acceptance of actual limitations; discuss safety measures regarding driving, using mechanical equipment, climbing ladders, swimming, and hobbies. Rationale: Lessens risk of injury to self or others, especially if seizures occur without warning. Review local laws and restrictions pertaining to persons with epilepsy and seizure disorder. Encourage awareness but not necessarily acceptance of these policies. Rationale: Although legal and civil rights of persons with epilepsy have improved during the past decade, restrictions still exist in some states pertaining to obtaining a driver’s license, sterilization, workers’ compensation, and required reportability to state agencies. Review medication regimen, necessity of taking drugs as ordered, and not discontinuing therapy without physician supervision. Include directions for missed dose. Rationale: Lack of cooperation with medication regimen is a leading cause of seizure breakthrough. Patient needs to know risks of status epilepticus resulting from abrupt withdrawal of anticonvulsants. Depending on the drug dose and frequency, patient may be instructed to take missed dose if remembered within a predetermined time frame. Rationale: May reduce incidence of gastric irritation, nausea and vomiting. Discuss nuisance and adverse side effects of particular drugs (drowsiness, fatigue, lethargy, hyperactivity, sleep disturbances, gingival hypertrophy, visual disturbances, nausea and vomiting, rashes, syncope and ataxia, birth defects, aplastic anemia). Rationale: May indicate need for change in dosage or choice of drug therapy. Promotes involvement and participation in decision-making process and awareness of potential long-term effects of drug therapy, and provides opportunity to minimize or prevent complications. Provide information about potential drug interactions and necessity of notifying other healthcare providers of drug regimen. Rationale: Knowledge of anticonvulsant use reduces risk of prescribing drugs that may interact, thus altering seizure threshold or therapeutic effect. For example, phenytoin (Dilantin) potentiates anticoagulant effect of warfarin (Coumadin), whereas isoniazid (INH) and chloramphenicol (Chloromycetin) increase the effect of phenytoin (Dilantin), and some antibiotics (erythromycin) can cause elevation of serum level of carbamazepine (Tegretol), possibly to toxic levels. Familiarize proper use of diazepam rectal gel (Diastat) with patient, SO and caregiver as appropriate. Rationale: Useful in controlling serial or cluster seizures. Can be administered in any setting and is effective usually within 15 min. May reduce dependence on emergency department visits. Encourage patient to wear identification tag or bracelet stating the presence of a seizure disorder. Rationale: Expedites treatment and diagnosis in emergency situations. Stress need for routine follow-up care and laboratory testing as indicated (CBC should be monitored biannually and in presence of sore throat or fever, signs of other infection). Rationale: Therapeutic needs may change and or serious drug side effects (agranulocytosis or toxicity) may develop. Injury, risk for—weakness, balancing difficulties, cognitive limitations or altered consciousness, loss of large or small muscle coordination. Self-Esteem (specify)—stigma associated with condition, perception of being out of control, personal vulnerability, negative evaluation of self or capabilities. Therapeutic Regimen: ineffective management—social support deficits, perceived benefit (versus side effects of medication), perceived susceptibility (possible long periods of remission).